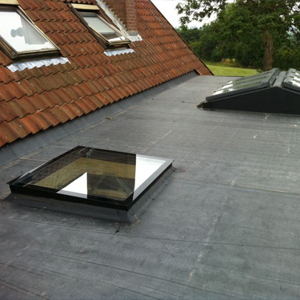 Our flat roofs are fitted with guarantees of 10 to 30 years. Take care of your flat roof and your flat roof will take care of your property! Many of the older, traditional felt flat roofs were just not built to last, unlike our range of new, outstanding flat roofs. Annadale Roofing flat roofs are fitted with guarantees of up to 10 to 30 years, which are insurance backed for total peace of mind. With life expectancies of up to 50+ years we expect them to keep you warm and dry for a very long time. Our expertise in a wide range of flat roofing systems enables us to provide the optimum flat roof solution for any application. Our local roofers provide flat roofing repairs and roof replacements across Bootle, Liverpool, Merseyside, Cheshire and surrounding areas. Our roofing teams are also available for roofing projects throughout the UK. Should you require any further information about our flat roofing services or want to find out how we can help you, please get in touch.